The Critical Diagnostics' Presage® ST2 Assay kit is an in vitro diagnostic device that quantitatively measures ST2 in serum or plasma by enzyme-linked immunosorbant assay (ELISA) in a microtiter plate format. The Presage® ST2 Assay is indicated to be used in conjunction with clinical evaluation as an aid in assessing the prognosis of patients diagnosed with heart failure. 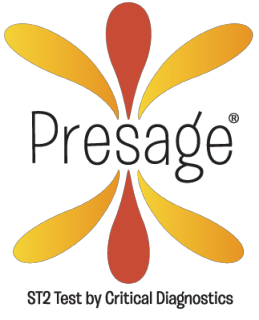 ﻿Click here for a pdf copy of the CE-Marked version of the Instructions For Use manual for the Presage ELISA Assay. The Presage® ST2 Assay kit is an in vitro diagnostic device that quantitatively measures ST2 in serum or plasma by enzyme-linked immunosorbant assay (ELISA) in a microtiter plate format. One Presage ST2 Assay kit is capable of running up to 38 patient samples in duplicates. 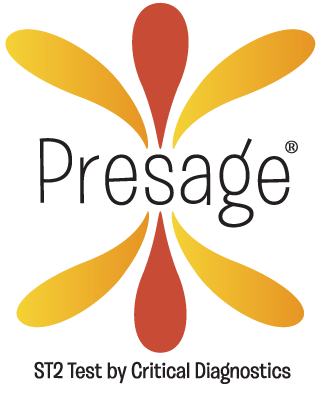 The Presage® ST2 Controls, Level 1 and Level 2, are designed to be used for verifying the performance of the Critical Diagnostics Presage® ST2 Assay kit (BC-1065-E). For more information on the Presage ST2 test, please contact us.